Well, I'm surrendering to the holidays... in September. Maybe that means I will have everything done early this year?! Anyway, today I have a Christmas card to share! 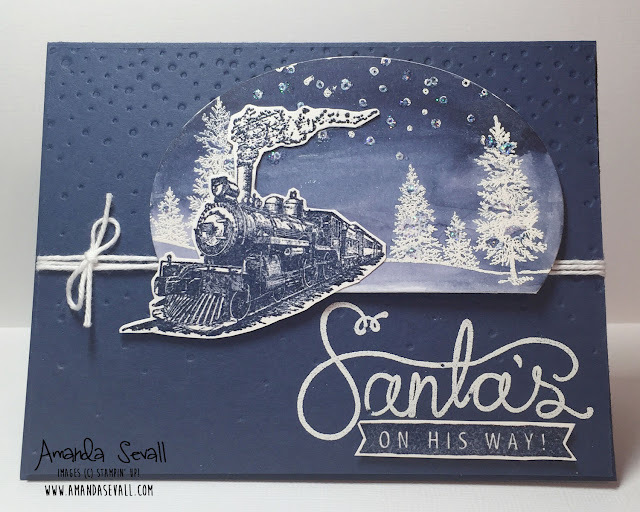 To make the background, I stamped my images on Shimmery White Cardstock and used White Embossing Powder to create a resist image, then I used an Aqua Painter to watercolor the whole piece with Night of Navy ink! It creates an awesome finish because the glitter, aka "shimmer" in the card shows through the ink when it's dried... it is what looks sparkly in the photo below! To emboss the train, I inked my train stamp first with Versamark, then immediately in Night of Navy ink before stamping my image to paper. 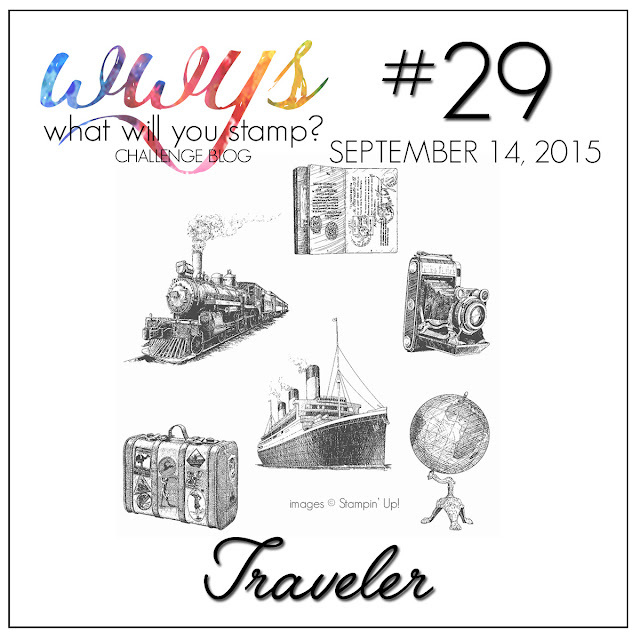 Once you do that, you have essentially created your own custom embossing color! 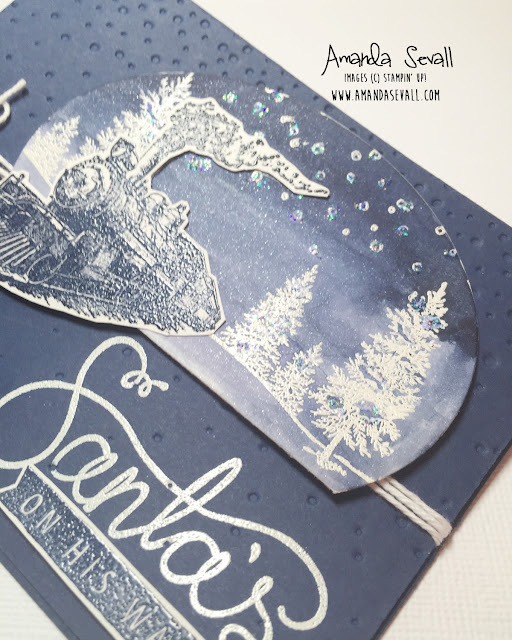 You finish the embossing by using Clear Embossing Powder -- so much fun! Gorgeous! Are you still selling cards? I think this would be a huge seller. Love the train I'm going to have to try that one and can't wait to. Still haven't gotten my big going but got let go from my job on Thursday so now I'll have more time to bog and my Stampin up biz! I have seen so many beautiful cards online. However, this card simply takes my breath away. My immediate thoughts upon seeing this card: birthday card for Dad, Christmas card for my brother. Amanda, thank you so much for sharing. AWESOME! I just watched the Christmas movie Polar Express and your card reminds me of the movie.